You are here: Home / Why Join Oregon Writers Colony? Why Join Oregon Writers Colony? For Oregon Writers Colony, “a community of writers” is more than just a phrase. Oregon has many fine writers’ groups, each with its own set of benefits. Even more important than the educational value of the workshops and conferences, the use of Colonyhouse, and the information in the newsletters is the relationships with the people. Our workshops and conferences tend to be small enough that you can get to know your fellow participants, so that when you hear news about a member, it’s not just a “member” — it’s someone you know and have been rooting for. And you know that when it’s your good news, your OWC friends you’ve met over the years, are rooting for you, too. 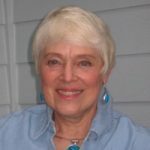 Here’s a story from a long-time OWC member, Rae Richen, about how being a member of this “community of writers” has made a big difference to her writing life. Rae has been OWC president (2010-11) and treasurer, but many members can tell a similar story about how the people of OWC gave support and inspiration. I joined Oregon Writers Colony because I liked to read and thought I might like to write. A friend told me about this organization. I went to a Spring Conference, met other writers who liked the same books I liked. Some of those writers were experienced, published and knowledgeable. Others were just as green as I was. I took other OWC workshops. I wrote and wrote. I joined with other OWC members in critique groups to have fresh eyes on what worked and didn’t work. I wrote for newspapers, wrote for magazines, wrote for educational journals and kept going to classes to learn more. I became aware of many of my writing opportunities because of things I learned from other OWC members. Now, I introduce myself as a writer. I have one book published and am about to see the launch of a second. I have several manuscripts in a drawer labeled, “Don’t laugh. I’m practicing.” I haven’t run out of ideas. I am constantly inspired by the other writers I meet through Oregon Writers Colony, and I believe in the OWC mission — welcome all who want to learn, support all writers and celebrate with them at each milestone along the way. I was president of Oregon Writers Colony last year because I wanted to help the dedicated members of OWC’s board and its committees as they find new ways to meet OWC’s goals. This year I went back to being a member and finding other ways to work toward the OWC’s mission. This is an organization working for every member. I am really glad I went to that first Spring Conference.